36 years ago - Mikaal Tomas is born among the warrior cast of Talok III. 13 years ago - 23-year-old Mikaal is sent to Earth to begin scouting for the coming invasion. 11 years ago - 25-year-old Mikaal helps the Justice League fight against his people's invasion, choosing to hide himself among the people of earth. 8 years ago - 28-year-old Mikaal begins his relationship with Tony. 2 years ago - 34-year-old Mikaal's lover Tony is killed. He joins the Doom Patrol in tracking down his killer, and chooses to stay with the team. 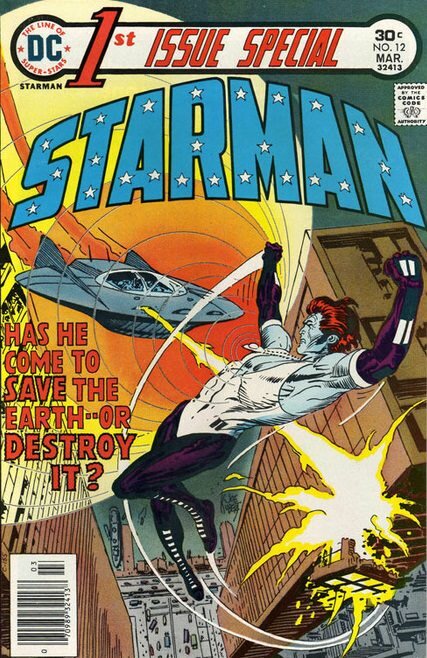 The name "Starman" is actually one of the most expansive legacies in DC comics. No fewer than TEN different characters have used the name, and several of them are actually really important to the overall history of the DC universe. Our goal was to focus on the most important versions of Starman, and to find a way to make each new iteration visually and creatively distinct while still making sure we honor the overall history of the name. To that end, we've created five different heroes that use the name, each from a different era. some of them are directly from the comics, others are amalgams of more than one version of Starman. The character that currently uses the name Starman is actually one of the few heroes to use the name that are completely dissasociated from the larger legacy of the character. He's an absolute outsider, never having connected in any way with the story of Ted Knight's family. The only thread that connects them is the name, and the writer that brought them to prominence in the modern era. MIkaal Tomas appeared in 1976 in a single issue of a short lived series called 1st Issue Special, invented by Gerry Conway. 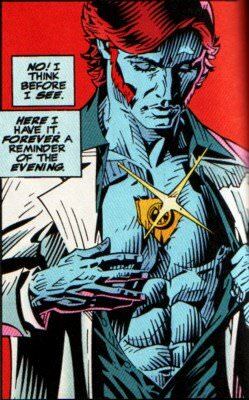 Conway was deliberately ignoring the legacy of the name within DC comics, instead basing the character concept on the David Bowie song, a earth-dwelling visitor from an alien race who embraces the world of earth-based rock music. We never actually ever saw this character again until James Robinson's groundbreaking Starman series, where he carefully and lovingly explored all the nuances of the legacy of the name, which also included this character even though he had only ever appeared in one story. A few years later, when Robinson was redesigning the Justice League (in the aftermath of his admittedly pretty disasterous Cry for Justice story), he included this long-ignored character, taking the opportunity to redesign him. He was a warrior that had put his past behind him but still weilded the powers that brought him to earth. He was also depicted as openly gay. He was a character that felt like he was untouched by the colorful legacies of the characters he worked with, operating instead as a complete outsider, giving us a cool window into the world of the heroes. Mikaal has such a unique energy, and we want to embrace that and use it in our version of DC. We actually used a version of Robinson's Justice League when we built Nightwing's new Watchtower, but that team is really meant to be built of legacy characters that needed to be placed in the spotlight. Mikaal thrives more in the stranger parts of the world. Still, we like the idea of him having spent many years on Earth trying to forget his past, until he is dragged back into the strange life of a superhero. He feels like he belongs on a new team, but who would it be? The solution to us was the Doom Patrol. The team is taking on a new shape as Beast Boy becomes it's new leader, and Mikaal feels like the perfect new member to honor the very particular legacy of strangeness that is part of the team's DNA, but also the sort of character that can help define the group going forward. The legacy is Starman is a long one, and it somehow seems totally appropriate that the man carring on the name seems so completely disconnected from it.